Q: Is this a sequel to Peter Jackson's "King Kong"? Q: Is Kong as big as Godzilla? THIS is the way a movie should be done. Have you ever watched the scene from The Princess Bride where the grandfather tells the kid: It's got everything. "Fencing, fighting, torture, revenge, giants, monsters, chases, escapes, true love ...". Well, in a way, that's this version of KONG, and I am really happy and surprised at just how GOOD it was. 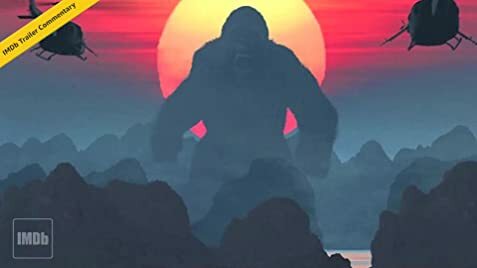 Take a bit of the original Kong, mix it with one part Private Ryan, a dash of The Deer Hunter, some Monty Python, lots of Jurassic Park, a pinch of A Space Oddity and mix well with some (insert your favorite lower-key funny movies HERE). The result is a pleasing fare one can really sink their teeth into and enjoy. It has some familiar faces too, and what's best about it, is that not only do they live up to their so-called stardom, but even the unfamiliar or not-yet- "famous" actors with smaller roles, really do a great job and sell it. 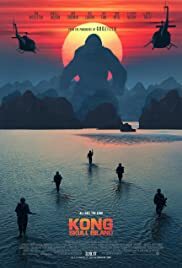 At no time while you are watching this movie do you feel it far-fetched or unbelievable that Kong actually exists, and isn't that, in a nutshell, what all movies should aspire to - the suspension of disbelief? Mission accomplished on this one, and good job to the creators. 75 of 126 people found this review helpful. Was this review helpful to you?